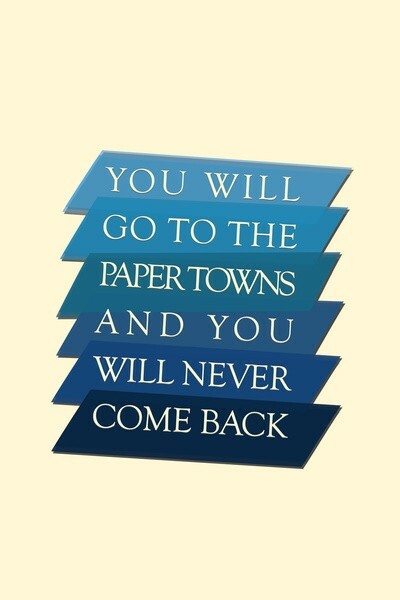 The novel Paper Towns is written in first person point of view. Example: "I started the car and pulled out of the parking lot, but all her teamwork stuff aside, I still felt like I was getting badgered into something l, and wanted the last word." You know this is first person because Quentin uses "I" and talked of things surrounding himself. In other parts of the book when people say "Quentin" the narrator answers, so you know Quentin is the narrator. "'Listen, kids. This is what happens: somebody—girl usually—got a free spirit, doesn't get on too good with her parents. These kids, they're like tied-down helium balloons. They strain against the string and strain against it, and then something happens, and the string gets cut, and they just float away.'" This simile is important to the book because it tells Quentin how the detective looks at these cases, and just how little hope he has of finding Margo. The near non-existent hope ignites a kind of hope Quentin can't explain, which leads him to Margo afterall. "Historically, Germany has had more enemies than Luxembourg. Margo Roth Spiegelman was Germany. And Great Britain,. And the United States. And czarist Russia. Me, I'm Luxembourg. Just sitting around, tending sheep and yodeling." The metaphor crafted quite precisely by John Green tells the reader how Quentin really looks at Margo; as a daring, brave and independent woman. Meanwhile, he feels that he himself has fallen into boring, comfortable routine. He wonders how he and Margo have strayed so far away from the nine-year-old best friends they once were. "A clear blue sky interrupted by the one balloon." This usage of personification gives an insightful look at Margo's electric character. In the eyes of her family she was just an interruption, but in the eyes of Quentin she was the unique balloon floating alone in the sky. Thus, the personification challenges the reader to look at both sides of this. 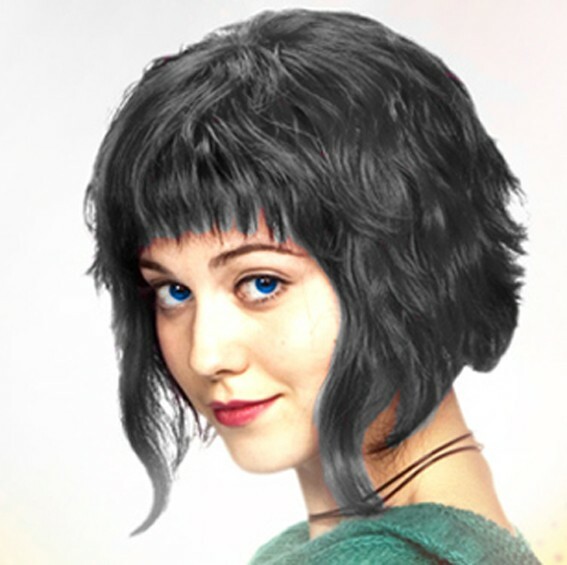 Is Margo an interruption or a unique person? Margo Roth Spiegelman is a courageous, but slightly selfish young woman who has been going on thrilling adventures and running away for years. She finds ways to leave subtle, and nearly untraceable clues for the people she loves. Only now has someone been able to trace them. 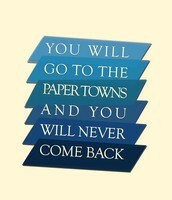 This quote illustrates Quentin's deepest thoughts as he sat alone waiting for her. Margo is someone who is missed; somebody Quentin loves. When Margo says this she enlightens Quentin and he, too begins to question society. However, he decides that that’s just how things are, yet Margo stands strong with everything she says. She’s the kind of person who’s independent and confident enough to say what they think, no matter the consequence or reaction. Margo Roth Spiegelman may have been slightly out of her mind, but her personality behind it all makes up for it. Quentin Jacobsen is your everyday senior in high school, awaiting graduation and skipping prom. He has two best friends, Ben and Radar who go through his daily routine with him; school, video games, school again. When Margo comes to Quentin's window, he finds himself in an all night adventure with his childhood friend. Following Margo's disappearance there's no question in Q's mind; he will find Margo if its the last thing he does. "Maybe she deserves to be forgotten. But at any rate, I couldn't forget her." This quotes captures Quentin's unwavering love for Margo. He admits to himself that Margo is a little selfish, rude and often is cavalier with law run-ins. However, he can't shake the feeling he has towards this mind-blowing girl: love. The theme of the nerve-wracking novel can be taken several different ways. One the one hand it can be as simple as chasing what you want, and what you love. Quentin demonstrates this by never stopping his quest for Margo. Another lesson a reader could take away from this book would be that people are not just paper. 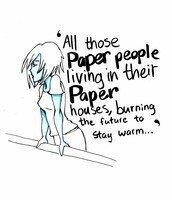 Margo says the Quentin on their prank expedition, "Look at all those paper people in their paper house, burning the future to keep warm." 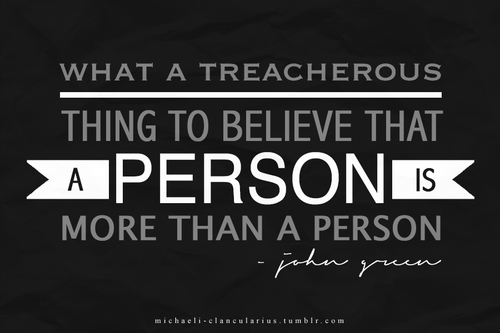 I feel that John Green, the writer of this novel, wanted us to know that people cannot be labeled by one thing. A person is a thousand things and more, and Quentin learns that the more and more he uncovers the route to Margo. You see, Margo was the most gorgeous, popular girl at school, who Quentin could never quite approach after they found a suicidal man in the park at the age of nine. After that incident they parted ways, and weren't best friends again. Quentin realizes that Margo isn't the same girl she was nine years ago, and that she has grown into a much more complex person. 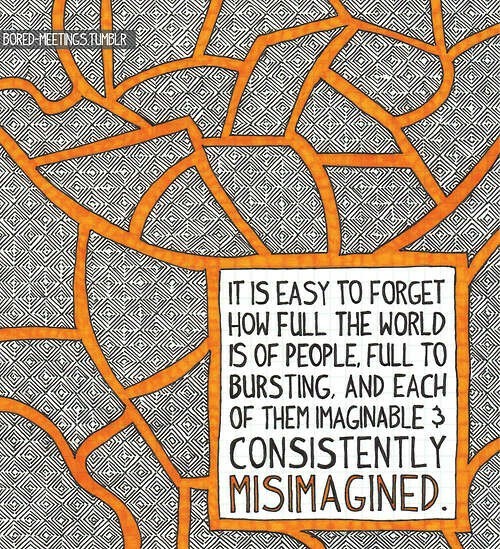 All people grow into complex, unique individuals, and we should realize that we cannot describe someone in a word. We cannot describe someone in three words. We cannot even describe a person because that person is the only one who knows them through and through, therefore it is impossible to label. 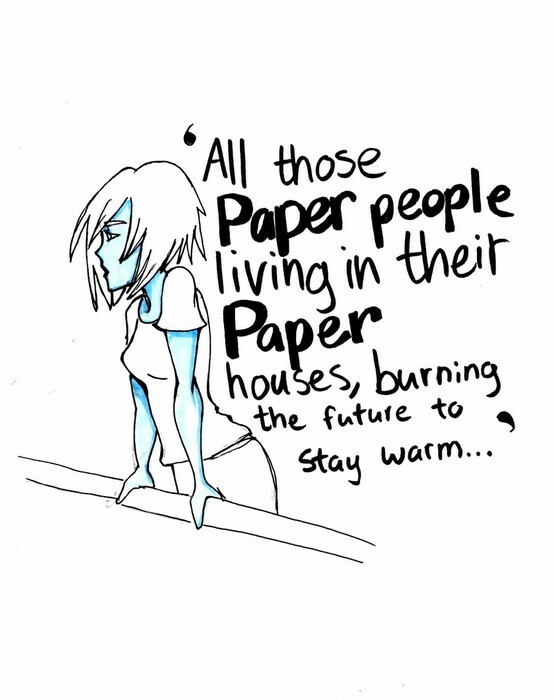 It is impossible to see someone as just paper. "I really don't want to get in trouble," I told Margo back in the minivan as she used the bottled water to wipe the black paint off her face with the tissues. She'd only needed the makeup, apparently, to get out of the house. "In my admission letter from Duke it actually explicitly says that they won't take me if I get arrested." "You're a very anxious person, Q." "Let's just please not get in trouble," I said. "I mean, I want to have fun and everything, but not at the expense of, like, my future." She looked up at me, her face mostly revealed now, and she smiled just the littlest bit. "It amazes me that you can find all that **** even remotely interesting." "College: getting in or not getting in. Trouble: getting in or not getting in. School: getting A's or getting D's. Career: having or not having. House: big or small, owning or renting. Money: having or not having It's all so boring." This dialogue lets you see Margo's true, unfiltered character. It allows characterization to be built, as well as developing the story. Without the use of this dialogue between the 7-eleven and Wal-Mart stops, the story may become dull or a bit wordy. The dialogue breaks up the plot for an exchange between Quentin and Margo, through which Q learns about Margo's character just as much as the reader. You also learn about Q, and his concern for his future and expectation. Furthermore, the dialogue simply cannot be skipped over in this novel, or you risk not truly falling in love with Margo and Quentin.